Aust. Govt. Publishing, Australia, 1985. 8vo. 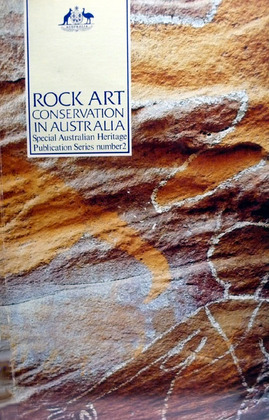 volume number 2 in the 'Special Australian Heritage Publication Series'; covers all aspects of the care and treatment of the Rock Art of the Australian Aborigines; includes aspects of the Rock Art itself, and details elements of rock deterioration, bacteria, fungi, pigments, lichen etc. illustrated with colour and b&w photos, maps, charts. VG+ clean copy. no dustwrapper. 79 pp.